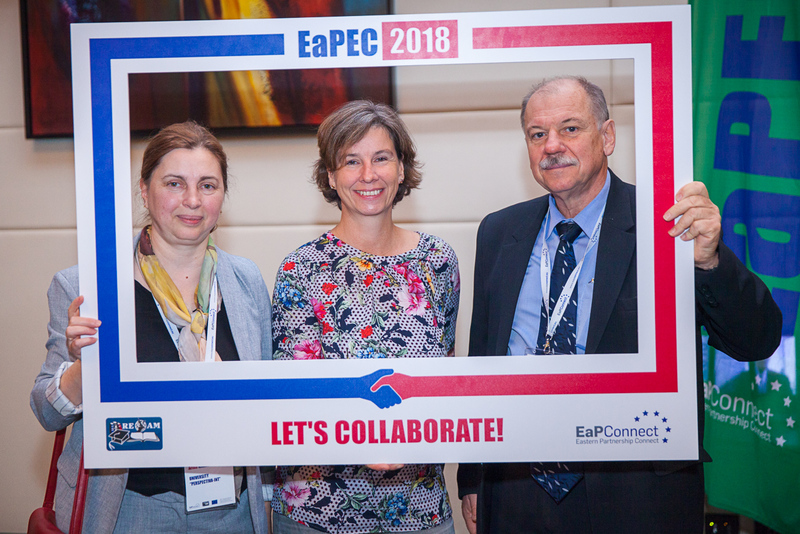 On October 17-18, the 3rd Eastern Partnership E-infrastructures Conference EaPEC 2018, organized by the pan-European research and education network association GÉANT within the EaPConnect project framework and hosted by RENAM, the Research and Educational Networking Association of Moldova, took place in Chisinau. The event has brought together around 180 representatives of ministries, universities and research institutes from 20 countries, as well as representatives of international institutions responsible for promoting electronic infrastructures. 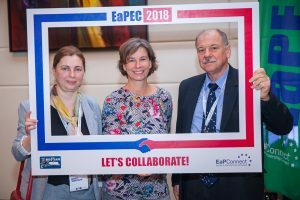 EaPEC 2018 conference provided a unique opportunity to familiarize with the successes and share views on the development of electronic infrastructures and their impact on the sustainable development of research and education. 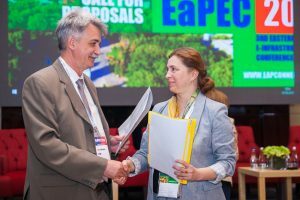 Participating at the EaPEC 2018 conference, Dr. Arina Kraijdan, Rector of the University “Perspectiva-INT”, showed interest and willingness to connect her university network to the RENAM network. This university, founded in 1995 as the International Relations Institute “Perspectiva” and re-registered in 2005 as University “Perspectiva-INT”, prepares specialists according to the modern requirements and European standards for activity in the state and private sectors, as well as to work within enterprises, foreign companies and international structures. Recently, the Accession Contract was signed with the University “Perspectiva-INT” – in this way one more university in the Republic of Moldova will benefit from the opportunities offered by RENAM and GÉANT and high-quality IT services. In the context of the EaPEC 2018 objectives, the signing of this contract is a manifestation of appreciation, and can be considered as one of the important outcomes of the conference.